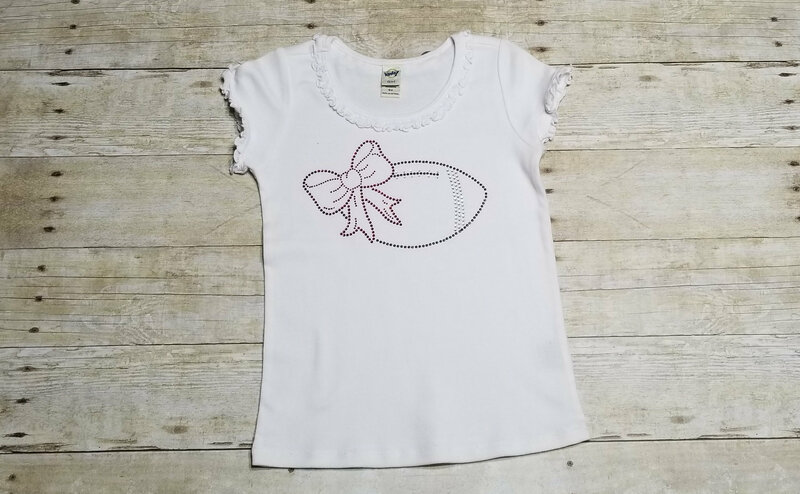 Bling/Rhinestone Football with Red Bow*** Free Bow with Purchase! 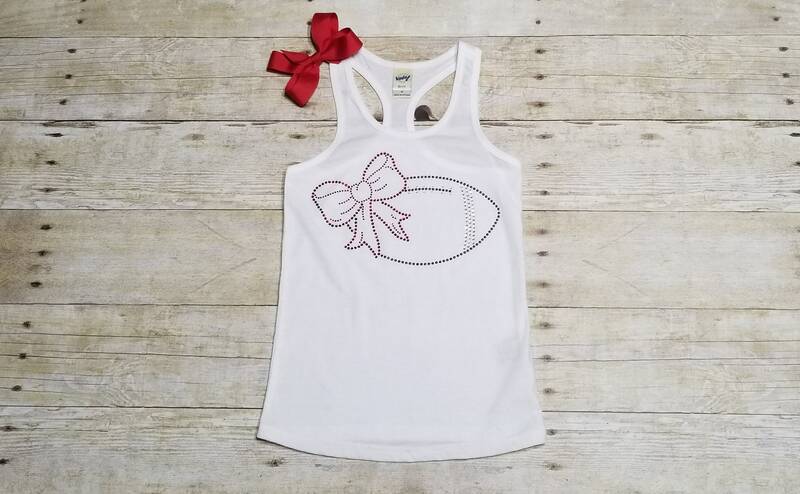 Check out our football t-shirts and tanks with red bow made from heat pressed rhinestones. Colors are perfect for lots of high school, college or professional teams! 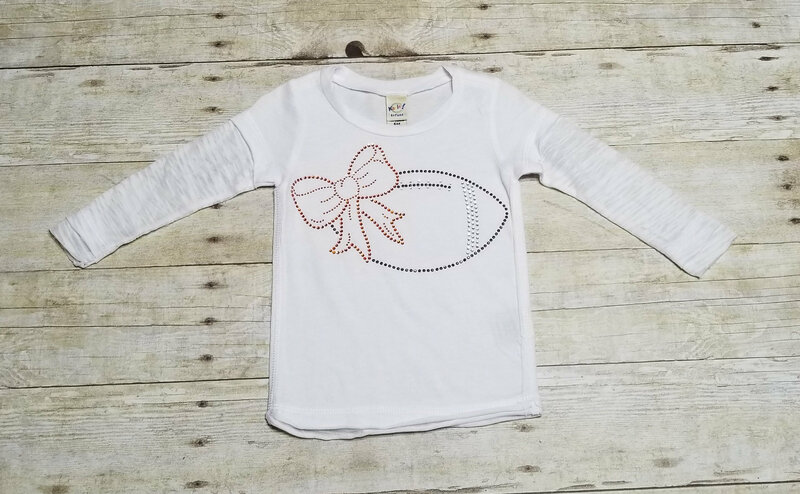 Sizes are limited and priced to move! 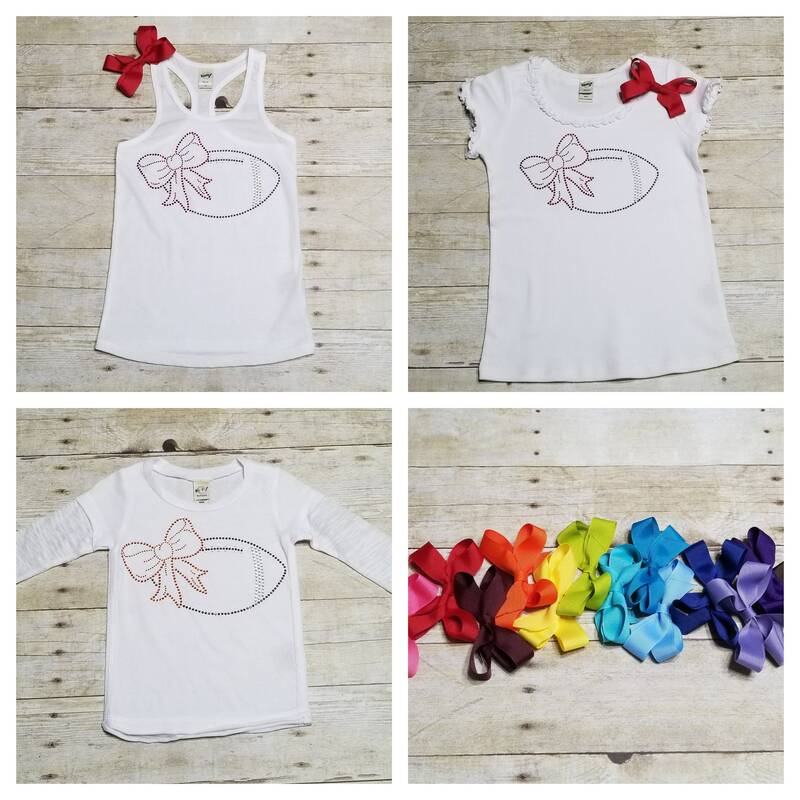 Every shirt comes with a free hair bow! 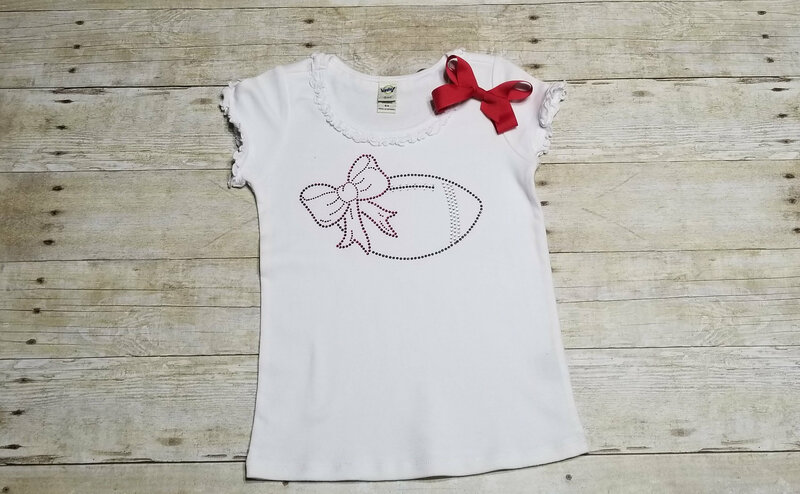 Bow will be chose at random to coordinate with the shirt purchased.